I spent my day yesterday taking a much needed “sabbath” day. I have been convinced and convicted of my need to take some form of regular time to process my heart, reflect on the care and nature of my soul, and just rest, refuel and recharge. I too often keep going and going and never really rest. So, Maggie and I purposely built into our monthly calendar 1 day (approx. 12-14 hours) where I just go and get away from the house and the seminary and spend time reflecting and processing some of these things. The challenge with this is actually utilizing the time to rest and reflect. So I of course had taken a few tools with me. 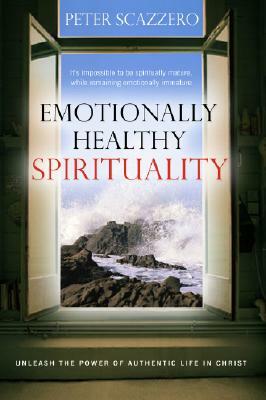 One was the book Emotionally Healthy Spirituality by Peter Scazzero (which I highly recommend). I took some notes from this book, in addition to some other material (which I will be sharing over the next week or two in subsequent postings), and created a template that I will be using on a weekly basis to do some “quick stop” evaluation. I. Emotional: What emotions are you experiencing or have experienced in a pronounced way this week? What instigated these emotions? Look for more segments, as well as what resources I found helpful, in forthcoming posts. 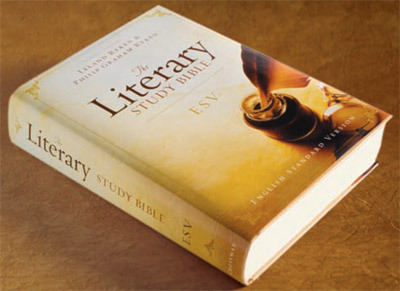 With all the recent flurry of news, updates and excitement regarding the forthcoming ESV Study Bible, I wanted to draw your attention to the other ESV Study Bible, The ESV Literary Study Bible and give you all six reasons why it will have a prominent place on my shelf, and why you should consider it as well. Readability: The Literary Study Bible formats the text so that it reads like most other books, longer lines straight across the page. I have found that this makes reading the Bible at breadth easier, or at least more manageable. For class this past semester, I had to read through all of the Prophetical books and the Gospels. I tried reading them with my regular ESV, and then the Literary Study Bible, and found that what I read in the Literary Study Bible, I retained more readily and the effort seemed not as labor intensive. Usefulness: The readability aids in its usefulness – as like most of us I’m sure our struggle is not in the reading of 1-2 paragraphs, but in entire books and sections of the Bible – but it has other features that make it more useful. The sections that begin every book lay out the main themes of the book, overall flow and structure, as well as your regular Bible introduction information. The 3-5 minute investment before each book really pays off, again in retention and in following the train of thought of the Biblical author. Leland and Philip Ryken: The father and son team on this Study Bible is certainly worth the price of the book. Both of these men bring a much needed emphasis on understanding the Bible with its literary aspects, as well as its theological, historical and moral aspects. It is not overstated to say that if you can understand the literary aspects of the text, then you are closer to the central message of the text, and the Ryken’s bring this out in a way that is helpful, though not overdone. Structure: In addition to the intro sections, each book features breaks in the text that lay out and help identify significant aspects of the upcoming text. This is absolutely great for gaining a sense of the overall argument or flow of a book. The Ryken’s: ‘Nuff said. But you should definitely check out the Leland Ryken article in the book Preach The Word. It alone is well worth the price of that book! I’ll actually have something up on the blog about that book in a couple of weeks. Literary Focus: I hinted at this already, but one of the most beneficial things I’ve learned while in seminary is to see and study the Bible within its literary dimensions. So often we take for granted that the Bible is a communication act where a human author wrote these pages to human audiences. Sure this was superintended by the Supreme Author, but we will fail to truly grasp the full force of the text if we never consider the literary dimensions involved in human communication that comprise the Bible. 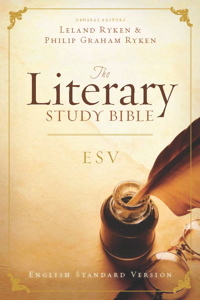 The ESV Literary Study Bible is an invaluable resource in assisting us as pastors and teachers of God’s Word in gaining such an understanding, and that is why I will continue to use it even after the launch of the New ESV Study Bible coming out this Fall. This looks like it will be a really great conference. I will actually be helping and serving at this, so if you’re planning on coming, let me know.